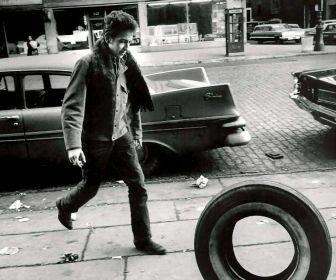 Bob Dylan, ‘The Atlantic’ and — me? The other week, I wrote a little piece for USA TODAY about Bob Dylan being charged in France for statements that authorities there construed as hate speech. Conor Friedersdorf of The Atlantic used it as a jumping-off point for a remix-style riff on the free-speech issues raised in the story. Interesting, entertaining and flattering all at once. Here’s more of my writing for USA TODAY. This entry was posted in Uncategorized and tagged Culture, Journalism, Society. Bookmark the permalink.